The Allied Health Program provides students with the theory and skill competencies to be successful in the health care field . The goal of the program is the completion of clinical and employability skills for entry-level positions in the health care industry. Successful program completions include CPR/AED/First Aid, a 10-hour OSHA General Industry certification. 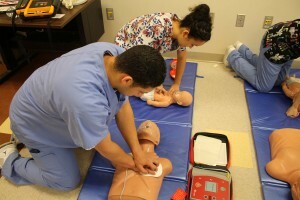 Certifications can include a Nursing Assistant, Home Health Aide and the option of being certified as an EMT-Basic. 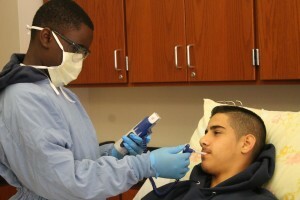 Students can earn up to seven dual enrollment credits from Quinsigamond Community College through an on campus EMT program. Seven Hills Foundation and Knollwood LTC. Area long term care facilities.